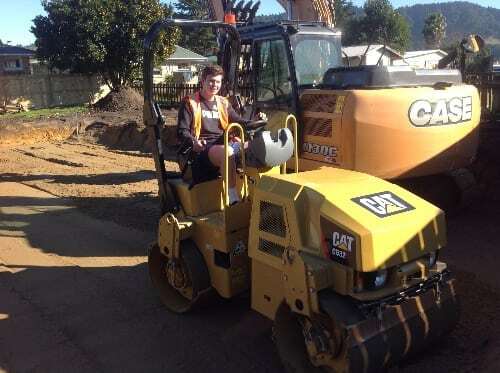 Jack first learnt about Habitat from staff at a University of Waikato sustainability lecture, and he has been volunteering one day a week since. Murray Pinkerton is Habitat CNI’s construction assistant, who Jack now works alongside. When Jack thought of volunteering, some of it did not appeal to him, but he finds helping Murray as a construction volunteer rewarding. A day for Jack begins with visiting the Hamilton office and getting briefed on what they will be doing that day. Whether it’s doing demolition work to salvage materials for the ReStore, or if it’s going to Freeman Court in Te Awamutu to help older people move rooms or helping with the renovations, there is a range of work to do. Jack enjoys seeing the steps of working with these families to address their housing need. Contact info@habitatcni.co.nz, or phone 07 849 0284 if you’d like to get involved with volunteering at Habitat.